His works are a window into the mind of a man who migrated to America in the late 1800s. His images express appreciation for the opportunity to make the U.S. his home, while also recalling memories of the people and landscapes of his native southern Italy. The Shrine Church of the Most Precious Blood, built in the early 1900s at 113 Baxter Street when Italian families settled Lower Manhattan, contains 38 Buongiorno murals telling the stories of both spiritual salvation and of immigrants seeking a better life. This exhibit displays samples of Buongiorno’s secular work, easel paintings from private collections—images that capture the same passion for human life seen in his inspirational murals at the church. Fri, April 12, 6-8 pm: Janice Carapellucci—Italian American, finally. Mon, April 22, 6-8 pm: Lou del Bianco—Luigi del Bianco, Italian-trained, immigrant carver of Mt. Rushmore. Weds, April 24, 6-8 pm: Paul Moses—“From Herod to Pilate”: How the Italian Community Built Most Precious Blood Church. The author of An Unlikely Union: The Love-Hate Story of New York’s Irish and Italians (NYU Press, 2015) recounts the ethnic rivalry and ecclesiastical infighting that accompanied plans to build a beautiful but expensive church on Baxter Street. Plans for Most Precious Blood Church became a lightning rod for tensions within the Catholic Church between the Irish and Italian immigrants. Book available here. Mon, April 29, 6-8 pm: Mary Brown—Italian Immigrants Decorate Their Churches. 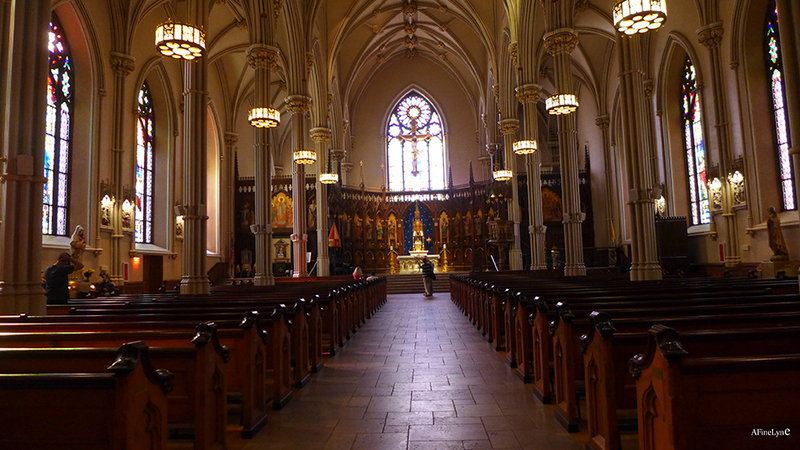 When Italian immigrants first came to the United States, they made their worship spaces their own by the art that they built up within those churches, sometimes over generations. Their story is also the story of Italian American artisans and entrepreneurs who designed churches and filled them with statues, banners, murals, and other examples of sacred art. Thurs, May 2, 6-8 pm: Olga Nikolic-Litwin—Why Paintings Need Conservators. Paintings often migrate far from where they were created and are damaged along the way. meet at the Rectory Gallery. View the exhibit with its producer and curator, then stroll down Mulberry Street through Little Italy to see the artist’s murals in the Shrine Church of the Most Precious Blood, with stops for cannoli, of course. 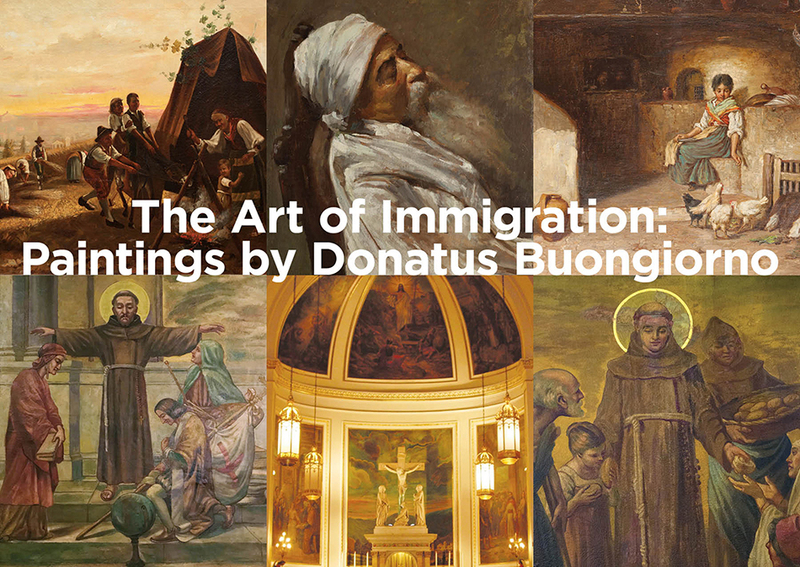 The Art of Immigration: Paintings by Donatus Buongiorno will be on view from April 11 through May 11, 2019, with Opening Reception on Thursday April 11th from 6-8pm, at the Rectory Gallery, St. Patrick’s Old Cathedral, 263 Mulberry Street, in Nolita. All Events are Free and open to the public. 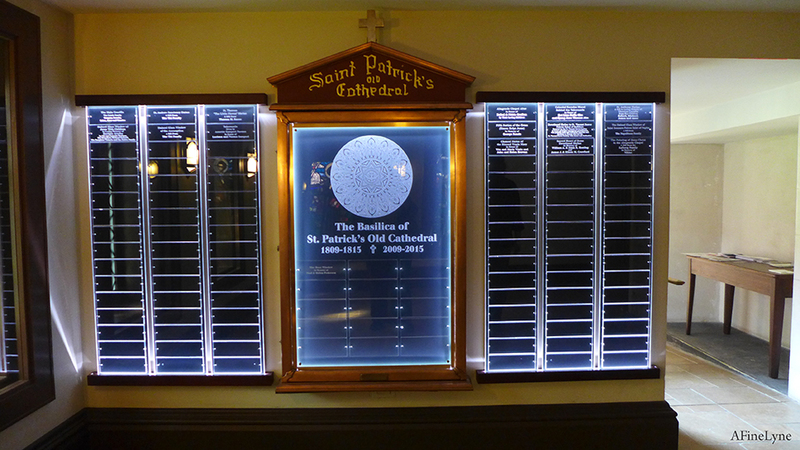 Check out St. Patrick’s annual “Lamb-Scaping” each September.